Many families enjoy fried turkeys, both during the holidays and beyond. However, frying a turkey does take some specific safety precautions. To help, Erie Insurance provides seven deep fryer tips to keep you and your home safe this holiday season. Buy the Right Sized Bird. 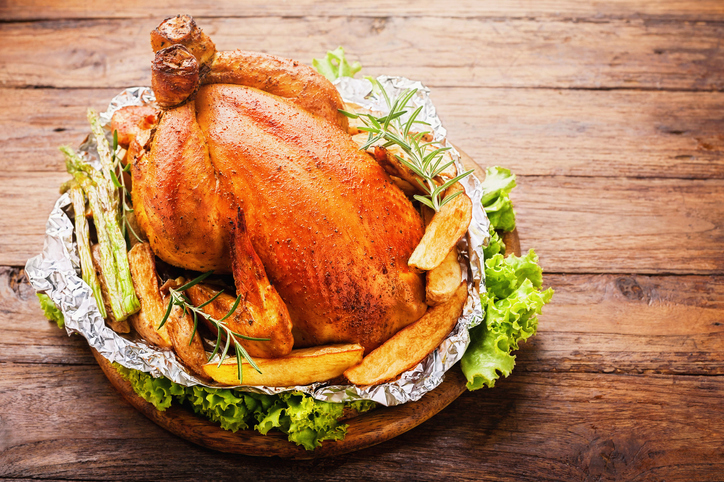 A 12 - 14-pound turkey is usually the biggest bird a turkey fryer can accommodate. Follow the Thawing Process. Let your turkey thaw and dry. Excess water causes oil to bubble up, which increases the chances of a spill. The National Turkey Federation recommends thawing the turkey in the refrigerator approximately 24 hours for every four or five pounds of whole-body turkey. Find the Right Spot. Place a propane-fired outdoor fryer on a level spot far away from your house and any other structures. Indoor electric fryers are often safest on porches, patios, garages or an outdoor area within reach of an electrical outlet; otherwise, place it on a countertop that's a safe distance from any overhead cabinets. - Heating Techniques. Heat the oil slowly. Also monitor the oil's temperature. Always check your user manual for the manufacturer's recommendation. - Don't Go Anywhere. Stick around the fryer while you are cooking. Many flare-ups happen when no one's keeping an eye on things. The quicker you spot a fire, the faster you can put it out. - Putting Out the Fire. Keep an all-purpose, dry-powder fire extinguisher close by. Never use water on a grease fire.